If you crave to be able to wake up in the morning with sunrise lightly sweeping your face then meet Philips Wake-Up Light Alarm Clock HF3520. It provides a pleasant and natural way to start your morning or go to sleep easier with sunset simulation. In our list of Top 5 Best Alarm Clocks, it ranked at #4. Comes with a round cone design and 4 rubber feet on the underside of the light to stop it from moving around on your bedside table. 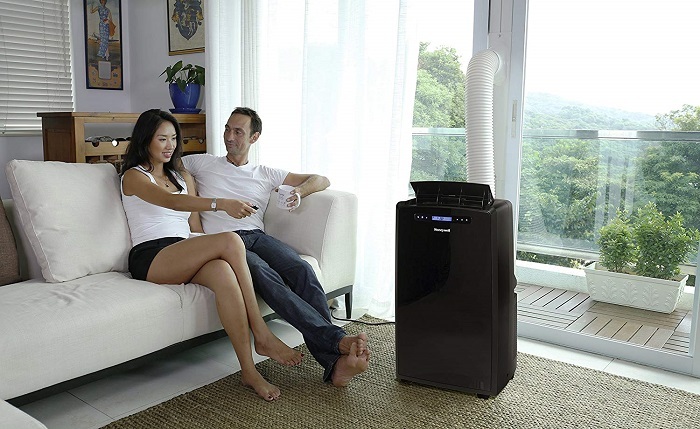 Around the outer edge of the Philips HF3520, you will find an alarm button, brightness adjusters, volume controls, alarm button, and a snooze button while at the rear side, you will find radio speaker, power port, and the FM radio antenna. Just choose the time you want to wake up in the morning. 30 minutes before your chosen wake-up time, the light will on, very gently at first and getting gradually brighter and brighter. It comes with colored sunrise simulation and 20 brightness settings give you the freedom to choose the right settings that match to your personal preferences. It also comes with 5 different sounds (a bird song, birds in the forest, zen garden, gentle piano and seaside sounds). They’re all fairly calm and relaxing. If nature sounds aren’t really your thing, then you can also be woken up with your favorite radio station. And you just need to tap Philips HF3520 to snooze. • Tap-to-snooze is very convenient. • LED bulb never needs to be changed. • Sticky rubber keeps it from sliding around. • Colored sunrise is nicer than plain white light. • Soothing sounds wake you up peacefully, not rudely. • Very bright at full intensity; lights up the entire room easily. • No automatic day/weekend switch. • No line in or sd card slot for your own music. • Can be difficult to program the time and other settings. 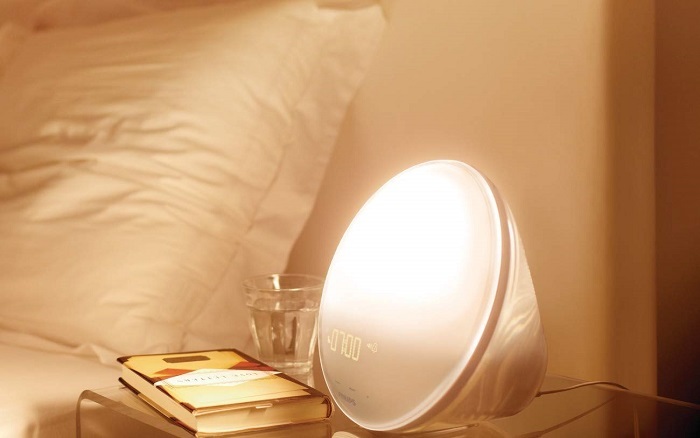 • Light therapy lamp and natural sunrise alarm clock for improving your sleep, energy, and well-being. • New! PowerBackUp+ feature maintains internal clock settings and back-up alarm for at least 8 hours in the event of power failure. • Can be used as a bedside reading lamp with 10 brightness settings. 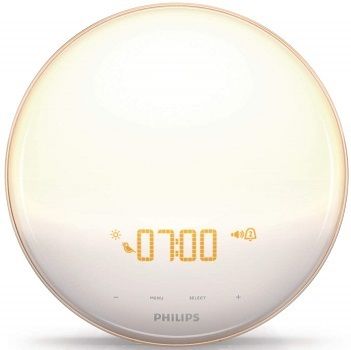 Philips Wake-Up Light Alarm Clock HF3520 is clinically proven to help you wake up feeling more refreshed. The mimicked sunrise and sunset lights improve your wake/sleep pattern and your well-being.